NIACC is situated on a 500-acre countryside campus on the east edge of Mason City, Iowa. 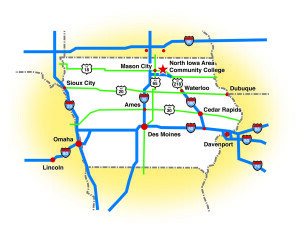 We’re located two hours south of Minneapolis/ St. Paul and two hours north of Des Moines, with easy access to the Avenue of the Saints and Interstate 35. The resort community of Clear Lake is also nearby, just a few miles west of Mason City. -Click the title to view directions. Mason City is served by Mesaba Airlines, a Northwest Airlines link from Minneapolis, MN. The other closest airports are Minneapolis/St. Paul International Airport, Rochester, MN, Des Moines and Waterloo, IA. 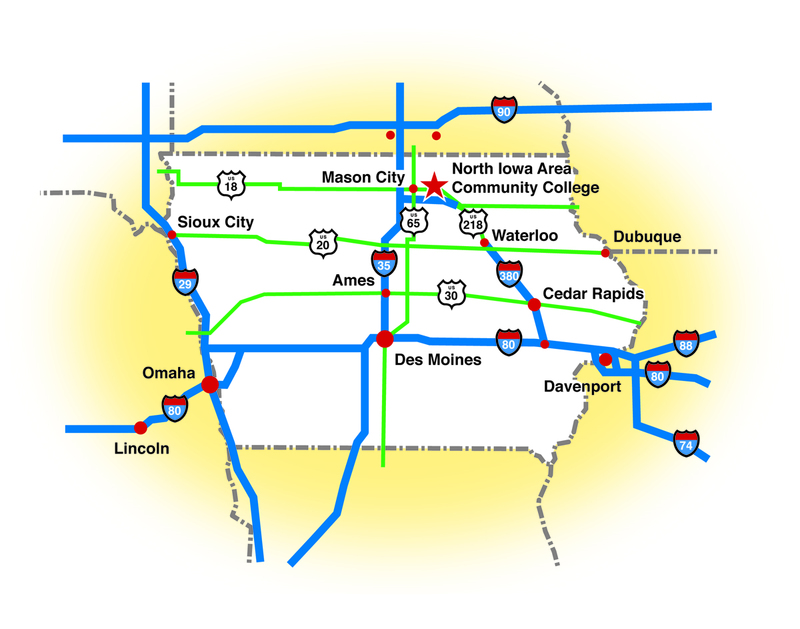 Mason City is served by Jefferson Bus Lines. A bus station is located at the Mason City Municipal Airport.